If I asked you to picture a swimming pool, the chances are your mind would conjure up images of a tiled pool. They are probably still one of the most popular pool constructions. They are strong. Luxurious. And can be made in any design. You’ve probably seen them in hotels, day spas and gyms. But what’s underneath the tiles? More often than not its concrete. The shell is constructed by using steel rods to form the shape. Then concrete (either shotcrete or gunite) is sprayed onto these rods at high pressure to create a strong and seamless pool shell. It is then rendered to waterproof the pool and usually tiled. 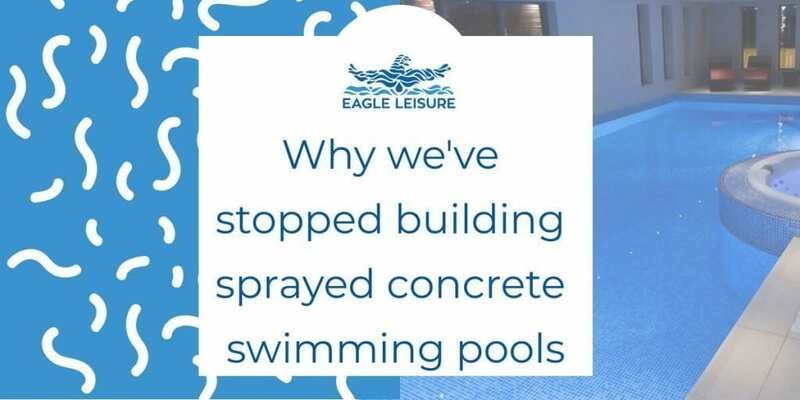 So if most people imagine a sprayed concrete or tiled pool, then why would we stop building them? Over the past few years, we’ve found that most of our problems and stress come from sprayed concrete pools. We’ve found the 80/20 rule applies to our concrete pools. 80% of our problems come from 20% of our work on sprayed concrete pools. While in the end, our customers end up with beautifully finished pools. We end up with a few more grey hairs and wrinkles. 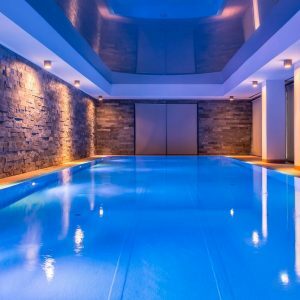 We’ve found that over the last few years liner and one-piece pools are becoming more popular as they become more sophisticated. That coupled with the strain that it puts our family under has caused us more and more to move away from taking on sprayed concrete pool constructions. Once we are finished with the ones we are currently constructing we won’t be beginning any more. What does this mean for our existing sprayed concrete pool customers? What about the pools we have already built? Any existing warranties or service support we currently offer will still be ongoing. We will still be taking on new maintenance and service contracts and will still be repairing all pools. So does this mean we won’t be building pools any longer? We will still be offering one-piece Niveko pools and liner pools for our customers in Scotland. We just won’t be building sprayed concrete pools any longer. Who can I get to build my sprayed concrete pool? If you still decide that a sprayed concrete pool is the route you want to go down then who can we suggest? We would suggest starting with SPATA to see what SPATA registered pool builders there are in your area. 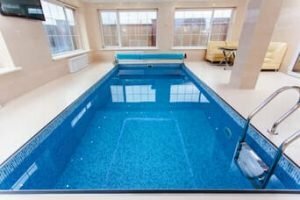 If you are in Scotland, there are not very many pool installation companies. And a very limited selection for sprayed concrete pools. There are options for concrete block work pools (which can be tiled or lined). But you may need to look at nationwide companies. We’ve decided that, going forward, building a sprayed concrete pools is no longer right for us at Eagle Leisure. But, that doesn’t mean they aren’t right for everyone. It’s worth looking into all pool construction options to see what is best for you. 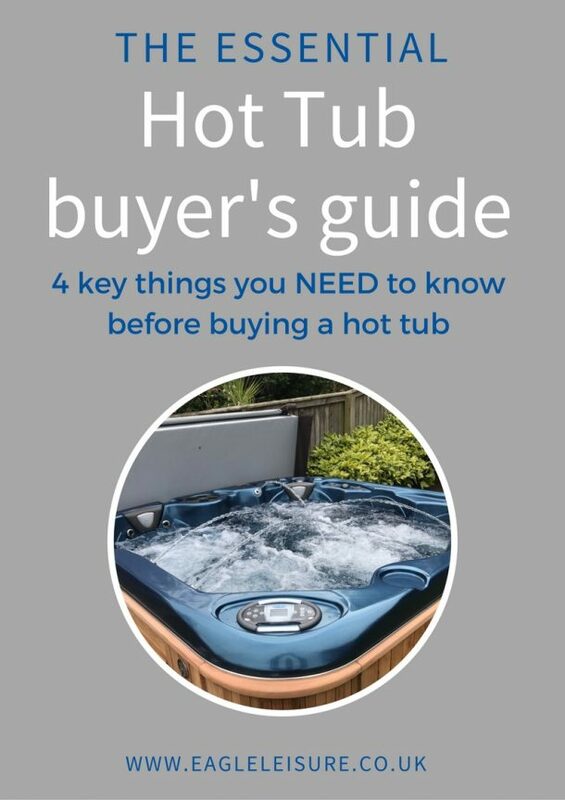 If you do decide to go down that route, there are plenty of builders across the UK who can build you a beautiful, strong sprayed concrete pool that will last you a long time.